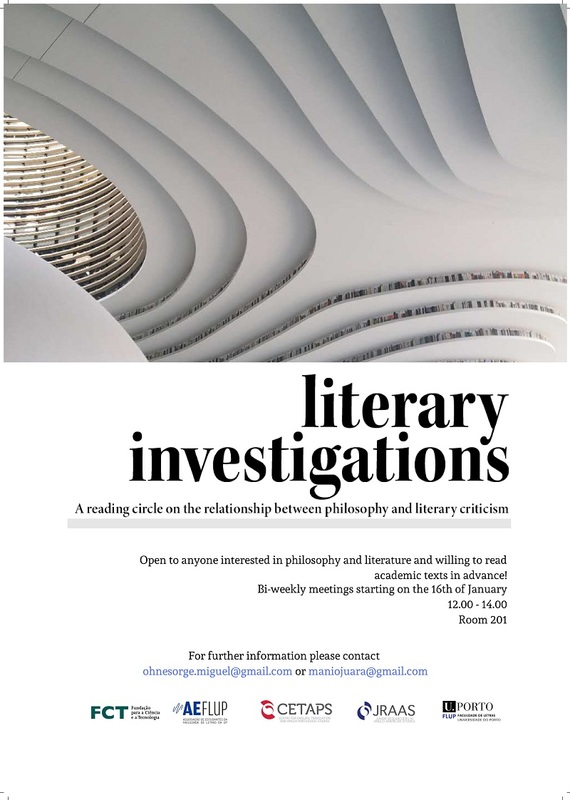 Literary Investigations is a bi-weekly reading circle which will focus on the relationship between literary criticism and philosophy. We hold the belief that Literature and Philosophy should be engaged in a mutually beneficial relationship, regardless of any recurrent misconceptions between the two branches of study. Despite philosophical prejudice that literature isn’t clear and formal enough to describe reality, aesthetic narrative is fundamental to human life. Too often, this lack of concern for formality is also mistakenly attributed to literary criticism. Meanwhile, philosophy is often seen as aesthetically useless and harmful for the literary imagination, which tries to grasp human nature in its unformalized complexity. Through Literary Investigations, we thus want to explore ways in which literary criticism and literature can complement each other. We’ll be discussing how literature holds rhetorical and aesthetic intricacies capable of expressing both the affective core and philosophical concerns regarding the human condition. Literary criticism and philosophy will be shown to complement each other: the former by appreciating philosophical clarifications which will ultimately enrich the structural understanding of the text and its themes, the latter by being privy to how aesthetical construction, in its metaphorical complexity, shapes and voices human experience. We will read and discuss, among others, texts by Martha Nussbaum, John L. Austin, William Faulkner, Ludwig Wittgenstein, Fernando Pessoa, Virginia Woolf, George Orwell, James Boyd White, Eduardo Lourenço, and Umberto Eco.